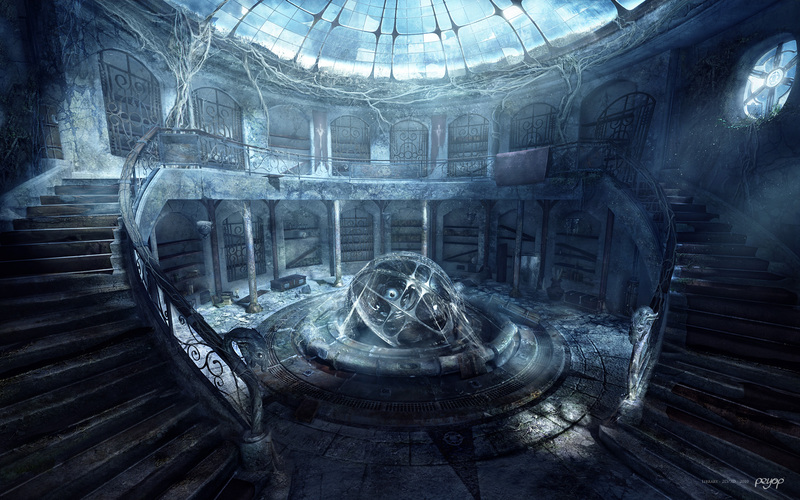 Squidge's Scribbles: The Forgotten Library. Right - I ought to explain the reason behind this blog post. I follow terrible minds, the blog by Chuck Wendig. Every now and again, he sets a writing challenge for his readers - this is the first one I've had a go at. You can check out how the challenge works here. I don’t know why I kept having this urge to keep going to the Old City. ‘There’s nothing there,’ they said. ‘The hive mind has declared it unnecessary,’ they said. Perhaps part of the attraction was because I was only weeks away from being initiated into it? I was rebelling against the restrictions that were soon to be placed upon me. ‘Is it? Hard?’ I asked. Even so, I made the most of the weeks left to me. I explored the shells of houses, wondered at the simplicity of engineering in the rusted vehicles, imagined what it must have been like to live – in those times. I discovered the library one day when it rained; I only went in so I could eat my lunch and stay dry. I noticed the twisted columns first, flanking a door which hung loose from its hinges. The roof still looked fairly intact so I risked it, pushing my way through the gap. Inside, it wasn’t as dry as I’d hoped; a glass dome in the ceiling had partially collapsed, rain staining the marble floor beneath it. But from both sides of the room, a sweeping staircase ascended to a balcony; it’d be dry under there. I dropped into its shelter, shrugging off my damp leathers. When I looked up, my breath froze in my chest. How had the hive missed them? ‘All relevant information was aquired after The Resolution and absorbed by the hive. Physical books were destroyed as there was no requirement to assimilate knowledge on an individual basis.’ I could almost hear Draib’s voice in my ear – the lesson had been drummed into us in preparation for the initiation. But right here, right now, I still had my brain to myself. I crept towards the nearest shelf. I’d seen paper of course, but in the relic rooms. I’d never held a single sheet, let alone a whole book; there were thousands here. Had it been a public library? A space where knowledge had been freely available to anyone who walked in? Or was it a private collection? I ran my finger along the wooden shelf, not daring to touch the books, pausing by a faded spine which caught my eye. Thank the hive for lessons in the Ancient Language. ‘The C..l..or o.. M…gic, Terr..Pra..ett.’ Had the words inside fared better? Trembling, I pulled the paperback from the shelf, dislodging dust and dead flies. I felt the weight of it in my hand and stared, entranced, at the colour and wild images on the intact cover. It was only when I heard the dogs barking that I realised how late it was getting. The book had been like a drug, compelling me to keep reading. Is this what it had been like? Before the hive? How was it possible for words to create images in my head, make my heart pound, make me laugh out loud? I stuffed the book back on the shelf and began to run, hoping to make it home before curfew. I went back as often as I could, devouring those pages that remained legible within their covers, losing myself in mythical worlds and fairytales and horror and history. And I started to write…strange tales that were not as polished as those I read, but which sought to be free of my mind. I filled notebooks with scribbles and ideas, revelling in them all, yet strangely angry that I would lose this newly awakened ability at my initiation. On the day of the initiation, I tucked that first book – The Colour of Magic - into my shirt. I would keep it with me throughout the procedure, hoping that its physical presence would soften the blow of losing it all. Maira strapped me in, waiting as I sank into the soft gel seat and the first tendril snaked down from the pulsing blue mass above my head, questing, looking for my nose. I stiffened at the tickle in my nasal cavity, swiftly followed by the thrust of the tentacle breaking into my brain. I pressed a hand to my chest – to where the book was concealed – and closed my eyes. An image of Great A’Tuin filled my head. A weight pressed down in my brain, suppressing it, until it disappeared like smoke on a windy day. But there were too many pictures. Instead of the weight, from elsewhere I felt…curiosity? Inquisitive others, seeking more of what I was viewing inside my brain, images that could not exist in mere fact. The pictures began to merge, a collage of characters and scenes and emotions. With a herculean effort the hive pushed the tentacle further and harder, but I fought it. My eyes shot open as I realised other minds connected to it were fighting too. Above me, the hive was seeping green-blue fluid from a million puncture wounds, shrivelling even as I watched. The tendril inside my head retracted so fast, it felt like it dragged half my brain with it. With a scream of pain...fury...despair…the blue-green mass exploded. ‘Where are the books?’ Maira whispered into the stunned silence. Tried to find the artist's name to credit this, but no success. A beautiful post. It reminded me of my grandmother hidden books. She had put them in a very dark place, in the vaults and, as a child, I kept going back there. Thanks Muriel - were the books in your grandmother's vault really valuable ones? Yay! Welcome to Squidge's Scribbles, Maree! Awesome! I am so glad I found this. You are a fellow book hoarder too, I'll bet. Keep writing, and I will check out the challenge too. A little bit of flash - His other love. The big reveal - Granny Rainbow's cover! A little bit of flash - Fever. Colouring in - how hard can it be? A little bit of flash - Secrets.